Loss Control to Major Tom . . . In Part 1 we reviewed inherent risk and the duty of a business to engage in reasonable diligence or due diligence in the conduct of daily operations. Not all risks are apparent. Every business faces risks that can be hidden. Reasonable diligence is about the management of risks. In business one effective tool to manage risk is a Loss Control Plan. Safety and health in our company must be a part of every operation. Without question, it is every employee’s responsibility at all levels. We will maintain a safety and health program conforming to the best practices of organizations of this type. To be successful, such a program must embody the proper attitudes toward injury and illness prevention on the part of supervisors and employees. It also requires cooperation in all safety and health matters, not only between supervisors and employees, but also between employees and their co-workers. Only through such a cooperative effort can an effective safety and health program be established and preserved. There are many templates (models or examples) available from sources as your insurance company and/or industry associations that can help in putting together a Loss Control Plan and all of its associated components. Get inputs from staff, especially line staff. They know the risks. Review your Loss Control Plan, especially in times of change. Contact your insurance company for assistance. Many insurance companies have a loss control department. (It may be known as risk management, risk engineering, or a number of other names.) Usually there are no charge or fees for this help. A successful dairy farmer buys a tractor-trailer for his son-in-law to haul steel. Nothing unusual about that. Then the son-in-law breaks his arm. He can’t drive, but knows a friend who can. On the friend’s first trip he brakes hard, loses a steel coil and the coil takes the cab off of the truck. 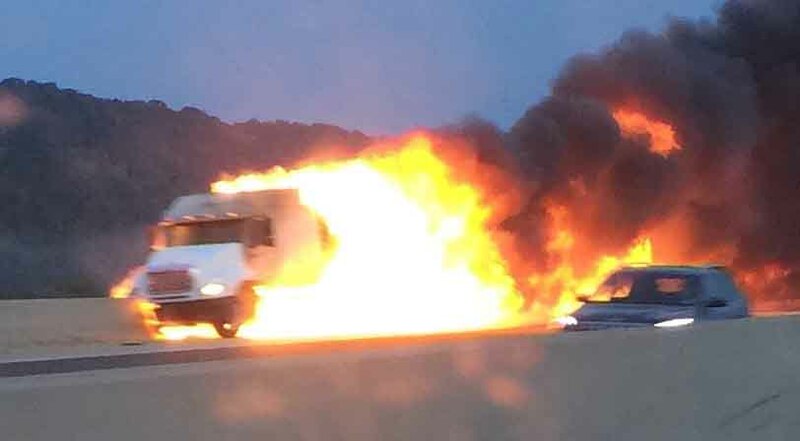 No one is hurt, but the trucking venture closes. A potato farmer buys a tractor-trailer to make deliveries to a major city about 250 miles away. His son will drive the truck and is advised to get some experience. “What for?” he responds. “Any idiot can drive a truck.” On his first trip, in an exit ramp, the newly-minted driver rolls the fully loaded truck on its side. The truck is damaged and later sold after it was repaired. Fortunately, no one was hurt. An 18 year old tractor-trailer driver takes a friend with him. Seven miles from the origin of the trip, he shows off how fast he can take an S curve around the “devil’s punchbowl,” a naturally occurring sinkhole. He rolls the truck in the curve and his friend is fatally injured. All of the above disasters happened to people I know. All of these stories are examples of the inherent risk in trucking operations. Every business has its share of risk. Without risk there is no reward. Most businesses share their risk with a risk partner — their insurance company. They have no choice. It’s the law. The agreement to share risk is commonly known as an insurance policy. It is a contract. Its purpose is to protect the assets of the insured. Being a contract, both parties to the contract have certain duties and obligations. One of the presumptions of any contract is that the parties act in good faith — that is honestly and fairly, so both can receive the benefits of the agreement. Another presumption (at least on part of the insurance company) is that risks are controlled — reasonable efforts are made to prevent losses and/or harm to others. The contract language may call for commercially reasonable efforts, reasonable best efforts, every effort, or even commercially reasonable and diligent efforts in this area. The standard of care would be reasonable diligence (due diligence). — It means the care and attention that is expected from and is ordinarily exercised by a reasonable and prudent person under the circumstances. It’s no coincidence that one legal definition of reasonable diligence arose from lawsuits involving transportation . . .
Due diligence in the prevention of losses (loss control) can mean to your business, depending on the level of risks involved, having a loss control plan. Thank you for reading Part 1. 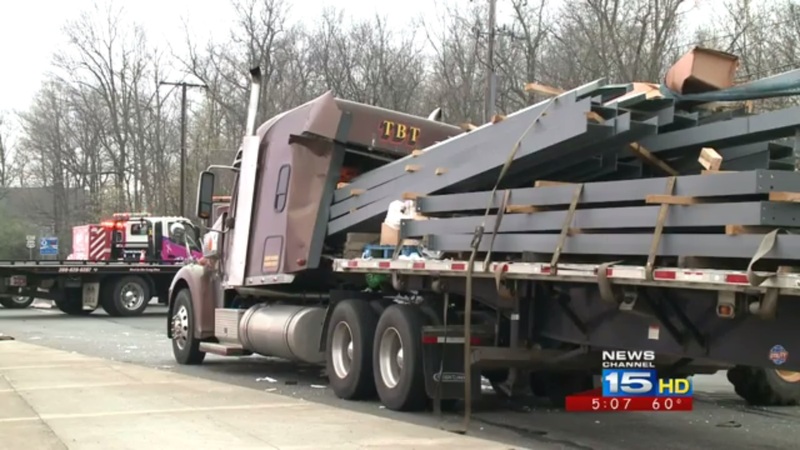 On Friday, April 22, a single-vehicle accident took the life of this truck driver when he slammed on the brakes and his load shifted forward in Angola, Indiana. “We have seen some nuclear verdicts, large liability claim settlements, many of them coming from the vantage that the driver was fatigued.” Richard Bleser, Marsh Risk Consulting. The DOT wants all truck drivers to be tested for apnea, a sleep disorder which can affect safety, if untreated. On March 8th, 2016 the FMCSA, along with the FRA, opened a ninety day period for public comments on its advanced notice of proposed rulemaking (ANPRM) for sleep apnea. A nuclear verdict has been defined as a verdict in excess of $10 million, or perhaps less than $10 million, but still high considering the injuries and damages. The majority of the recent nuclear verdicts, involve not only driving while fatigued, but some form of distracted driving according to Marsh. Distractions are classified into the types: visual, manual, and cognitive. The CDC cites studies showing some type of distraction is present during 52% of normal driving, be it engaging in a conversation, talking on a hands-free cell phone, eating, or even simply daydreaming. The highest-risk driver by age, most likely to be involved in a fatal collision due to distracted driving, are between ages 20 to 29, followed by those between the ages of 30 to 39 says the CDC. Safety experts agree the best way to avoid liability or potential nuclear verdicts is to not have the collision in the first place. As the nature of the risk is changing, so must organizational efforts to mitigate or even eliminate the risk. 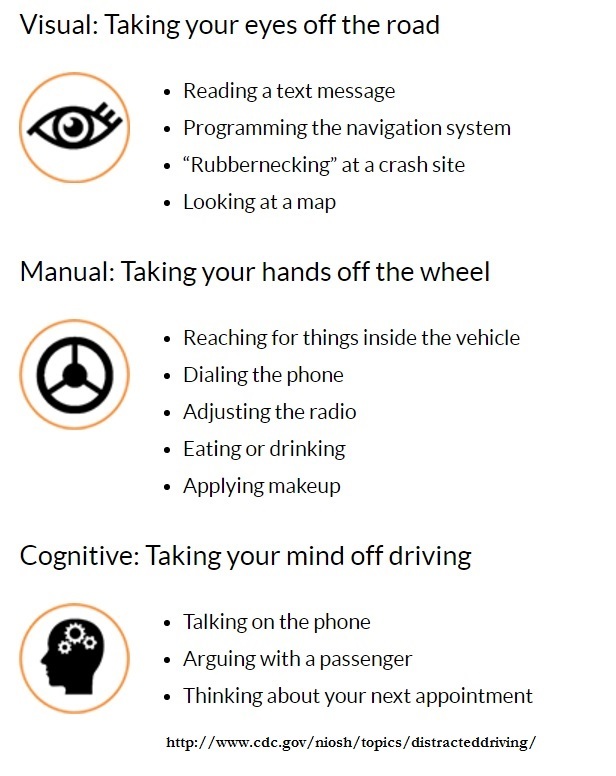 • Smart companies start with a comprehensive Distracted Driving Policy: Avoid driving when distracted, including, but not limited to, when eating, drinking, smoking, or emotional /stressful conversations. A formal policy serves as the foundation of your distracted driving prevention program. Fact: Most people (86% according to a survey by Coalfire) use their smartphone for both personal use and work. Your Distracted Driving Policy should limit, and preferably eliminate, both uses while driving. In many jurisdictions cell phone/smart phone use while driving is already illegal. And doing illegal things while driving is never helpful . . .
• Train everybody (drivers, managers, and staff) on your Distracted Driving Policy. Once is not enough. Reinforce training with emails, newsletters, bulletin boards, and notices in vehicles to communicate your policy. Update your Disciplinary Action Policy in the Employee Handbook. • Hold management and staff accountable. Enforce the policy. Monitor and review your efforts. Use new technology to augment your safety efforts. Set the example. • Have a fatigue management program. Fatigue Management Programs (FMPs) are interventions intended to assist in reducing driver fatigue. New technology can help here. A motor carrier’s loss run report can say a lot about where they are at when it comes to safety. A loss run is a report that offers a history of claims that have been made on a commercial insurance policy. Here are a few incidents from a loss run I recently viewed . . . 1.) Description of Collision: The tractor-trailer was turning right when the driver realized he did not have enough space to execute the turn, so he backed up in the turning lane and backed into the vehicle in line behind him. Claims for injuries, as a result of this collision, were presented and the insurance company settled for $100,000. 2.) Description of Collision: Tractor-trailer was making a right and misjudged the turn and said he had to back up to make it. The vehicle behind was slightly bumped while the truck was backing. The other vehicle left the scene and no police report made. 3.) Description of Collision: The tractor-trailer missed its turn, stopped and reversed without looking, striking the left front of the other vehicle. The insurance company paid $6,600 in damages. 4.) Description of Incident: After pulling the loaded trailer from the dock, the driver could not find an empty parking space to drop the trailer. He dropped the trailer on side of driveway where other trailers and rigs had previously parked. After he pulled out from under trailer and went around to pick up an empty, he witnessed the trailer tip over onto its right side. Ground under right landing gear was soft. The insurance company paid $3,200 in damages to the trailer and the freight, for unloading the trailer, and for tow trucks. 5.) Description of Incident: The driver was backing under trailer. He did not realize the trailer was too high. Damage resulted to the bunk extenders and brackets. The insurance company paid $6,440 for repairs. 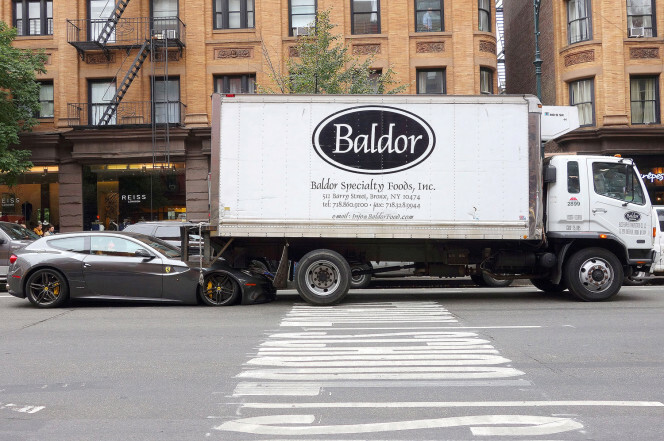 The driver said, “I didn’t see nothing,” after backing into this $250k Ferrari FF. 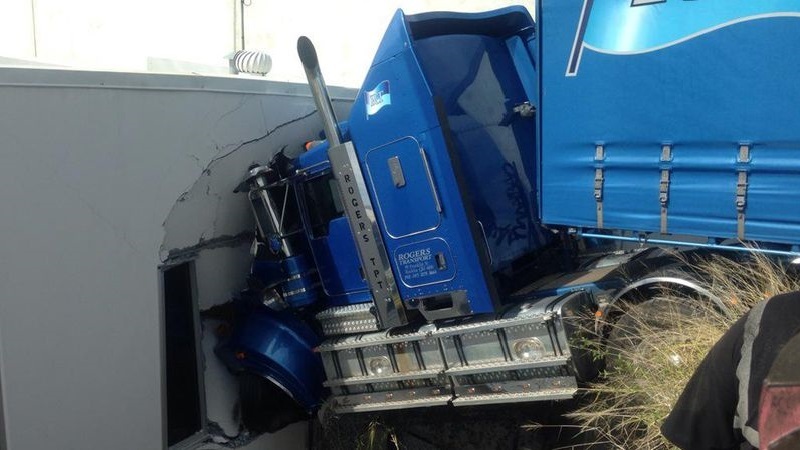 One thing that can stand out on a loss run report is the fact that some of the same drivers keep having “bad luck.” About ten percent of a fleet’s “high-risk” drivers can result in one third of all claims, according to some studies. This is why it pays to investigate each and every accident and incident and have an accident preventability program in place and “score” each and every safety event. Was it really a case of the driver being in the wrong place at the wrong time? Or was it simply the bad judgment of the driver that resulted in the collision or incident? We know driver error is responsible for most collisions. Backing in traffic is a major no-no. There is simply no excuse for it. Having a number of these same incidents over time tells me this mid-sized carrier does not care about training or safety (as was the case). Backing under a trailer and ramming the back of the cab is . . . dumb. The driver rolled the dice on that one . . . and lost. Sure . . . they might drop empties along the driveway . . . not fully loaded trailers. Why didn’t the driver find a plank to put under the landing gear if he wanted to set a loaded trailer on bare earth? Why not indeed . . . In final analysis, in my opinion, this carrier wants to keep expanding, but doesn’t want to bother with investing in safety. They don’t determine accident preventability. They don’t have safety meetings. Their next loss run most likely will be much like their last one . . . if they can find a risk partner to underwrite their losses . . .
Rollaways . . . Runaways . . . Driveoffs . . . The Case of the Unsecured Vehicle . 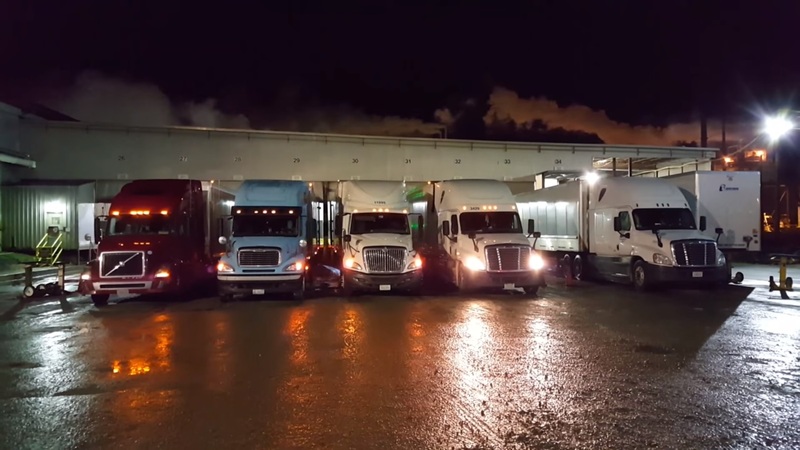 . .
A truck driver stopped his tractor-trailer to drop off lunch to a fellow worker. Noticing the truck had started to roll away, he attempted to get back in the vehicle and during the attempt, the 26 year old father of two was fatally injured. While these type of collisions are sometimes referred to as “freak accidents,” they are not that uncommon. An online search for “driver killed trying to stop rolling truck” shows over 27 million results . . .
A countermeasure is defined as a measure or action taken to counter or offset another one. Drivers should be in the habit of a following what some call the Cockpit Exit Routine. (1) Set the brakes or check that the brakes have been set. To set or check the air brakes,pull the yellow knob on the dash. This will also automatically deploy the trailer air brakes. (2) Ensure the ignition key is in the “off” position. On average, a truck key is left in the “on/ accessory-position” at least once a year, resulting in a drained battery (and about a $225 average service call). (3) Check that the turn signal or emergency lights are off. (5) Once outside, take a final glance back at the truck, making sure no lights have been left on. Set wheel chocks if the vehicle is parked on an incline. Drivers should not attempt to chase or stop a rolling truck. I am not aware of any situations where such an attempt made the situation better. More than likely, a panicked attempt to stop a truck already in motion will result in a serious injury or worse. Stay cool. Stay calm. Follow the Cockpit Exit Routine. The NY Post reported a tragedy occurred early this week when someone stole Phil Dellegrazie’s brand-new flatbed truck while he was loading it by his metal shop in Brooklyn. 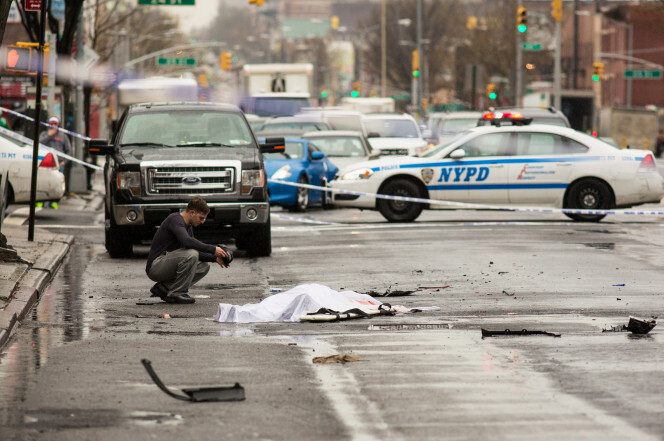 After confronting the man at an intersection, the suspect ran over and killed Mr. Dellegrazie, who was well-liked and respected by the local community. If your vehicle is being stolen, it’s hard to stop yourself from reacting. But the key thing is to respond, not react. The best response is to call the police, then your insurance company. They deal with this everyday. One vehicle is stolen every minute, nationally. According to NHTSA up to half of stolen vehicles are a result of oversights or mistakes made by the driver . . .
Avoid keeping a spare key hidden in or on the vehicle. Always lock the door and roll up the windows. Never leave the vehicle running. 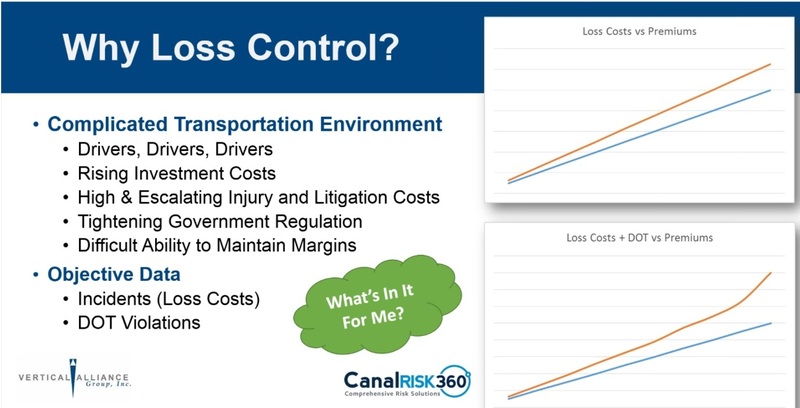 On Thursday, March 17, Gary Flaherty, head of Canal Insurance Group’s Risk Management Services, partnered with the Vertical Alliance Group and presented a webinar on how to make motor carrier insurance pay. Canal, a privately held company with assets in excess of $1 Billion, and an A.M. Best rating of A- (Excellent), specializes in trucking insurance, especially for smaller, independent long-haul owner-operators (about 80%) as well as intermediate-haul and local firms. They insure all kinds of cargo, including petroleum products, but don’t insure anything that’s designed to explode (Class 1 Explosives). Canal operates in most states. One sure thing, the more losses (crashes, collisions, and claims) your company experiences, the more your insurance premiums will increase. But it doesn’t end there . . . increased DOT violations can also drive up insurance premiums. Why? Because in many cases DOT violations can be controlled by having solid policies and procedures (P&P) in place, strong hiring standards, and an actively involved management. Insurance should be considered an investment. “You have to put in what you want to get out,” said Mr. Flaherty. And the investment is not just in writing a premium check when it is due. No matter which insurance carrier you deal with, you need to communicate well with your insurance team. Who is on your insurance team? Each team member has a role to play. The Agent, for example, knows stuff and may have resources he can provide. His job is to help you and to make you more appealing to your risk partner. Compliance vendors can assist your company get its safety and regulatory house in better order. Your insurance carrier may have Risk Management or Loss Control people, both in-house or outsourced who can point out areas of improvement (at no additional cost to you). Tip: This is your time to shine— not shell up. Nothing happens without people: introduce key staff members. Show your policy and procedures, as well as safety practices. Have you invested in any new technology as on-board cameras or electronic logging recorders? Ask questions: How can I improve? What are any weak spots? Have a dialog with the risk consultant. What new and creative solutions can Loss Control provide? What kinds of data and analysis can they provide? New ideas? What best practices do they recommend.Keep in mind each insurance company does things a little differently. How do you get the most value from a loss control visit? • Treat any recommendations with due attentiveness (especially those classified as Critical, or Important). • It’s a two-way conversation. Sometimes information is not available at the time of the visit. Don’t be afraid to follow-up later. Tip: Get the risk consultant’s contact information! • Okay, so you haven’t been keeping good records on drivers or vehicle maintenance. The worse you can do is side-step or evade providing an answer. Every five years or about 1 million miles or so, a safety event may occur. If so, the regulators or litigators may see anything missing as a blatant attempt to evade safety regulations. It costs nothing to be transparent. • Expect a return on investment (RIO) on your efforts resulting in lower overall costs. Many safety initiatives result in additional productivity and other intangible benefits that cannot be easily measured. Gary Flaherty finished his talk with a question and answer session. Q. What are the top three mistakes Motors Carriers make? Hiring: standards may be too loose, or high, but not enforced. Collisions: lack of a preventable collision program in which all collisions are investigated on the question of preventability. Lack of proper investments: for example, now is the time to get on-board with Electronic Logging Devices (ELDs), not near the deadline. Look upon your relationship with your insurance people as a partnership, communicate frequently, and see your premiums go down. Disclaimer: One company that I work with in the area of Loss Control does business with Canal Insurance Group. Any expressed opinion’s are the author’s own and do represent any advice or suggestions of any particular group, person, or organization. Cheap Shots . . .
North Carolina has some of the lowest insurance rates in the U.S. and North Carolina Insurance Commissioner Wayne Goodwin wants to keep it that way according to WRAL. Calling the nonresident truckers ‘liars’ and posers, Goodwin, is drafting legislation to distinguish between NC based trucking companies and those who operate out of another state. 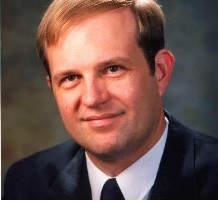 While there are a number of reasons NC insurance rates are lower (including good drivers subsiding the bad drivers), the main reason, according to Stuart Powell, Vice President of Technical Affairs at Independent Insurance Agents of North Carolina, Inc., is that personal injury lawsuits are difficult to win in North Carolina, if the driver contributed to the collision. As noted in Friday’s blog, personal injury claims involving trucks are over $1 million, on average, and rising. There are about 5.8 million CDL drivers and millions of commercial motor vehicle (CMV) drivers. Motor vehicle crashes are on the increase. 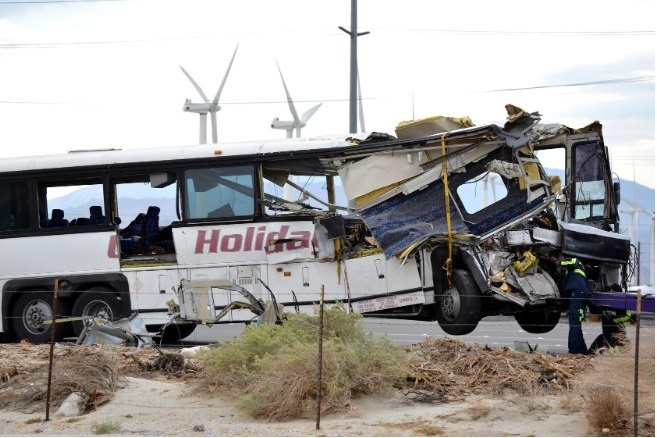 In the first half of 2015 there was a 14% increase in fatal accidents according to the National Safety Council (NSC). Fatal truck accidents occur 11 times every day and are on the rise. 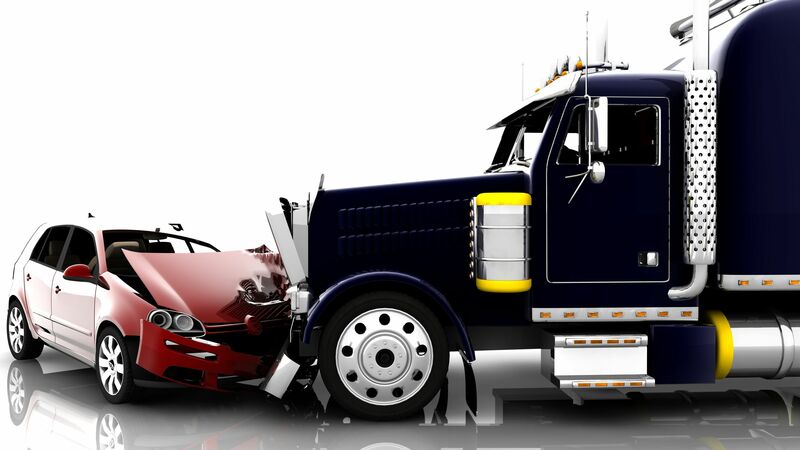 More than 100,000 people are injured every year in truck crashes. Multiply each truck injury by $1M and the annual cost would be over $100,000,000,000. That’s One Hundred Billion Dollars. At one time you could run the whole country on that and have spare change. The cost of a fatal crash involving a tractor-trailer is over $7 million. Motor-vehicle deaths may exceed 40,000 for the first time since 2007, according to the NSC. (1.) Hold the current course. 80% of companies will not make an effort to craft their culture, according to culture design expert Maria Giudice. There are a lot of good safety information and resources out there, perhaps more than ever before. Become safe by design, not by default. Many times business owners tell me “Well everyone knows that,” but they have not reduced their policies to a written form. Don’t ignore or fail to implement your safety plan until safety becomes an issue. Then it’s too late. Being proactive means acknowledging there is a steep learning curve to deal with of the industry changes, regulatory changes, compliance changes, and changes in whatever stage your organization is in at this time. Make an effort to stay ahead of the curve. This may involve some risk, but the rewards are well worth it. Being transparent means having crystal clear policies that everyone knows— and follows because they are enforced. Simple policies, like wear your safety (seat) belt and never use your cell phone while driving, carry huge safety implications to your risk partners (insurance companies) and regulators (DOT, DPS, OSHA, etc.). Your risk partner likely has a Loss Control (LC) department that will assist you in crafting basic safety policies and procedures. There are no fees or charges for LC services. Trucking—Insurance Companies’ Bad Bet . . .
On Thursday, February 25, Dan Petrillo and Adam Harris of LaPorte & Associates’ Transportation Division, partnered with the Vertical Alliance Group and presented a webinar on how to save money on truck insurance. The more you understand the process, the more you can exert control. The talk started out with a review of the basics— Insurance 101. Insurance companies, like most businesses are competitive and make a 2% to 3% profit. But that’s in good times. Insurance company profits come from investment income and from business savvy underwriting. With the overall investment markets not doing so hot, that shifts most of the burden on underwriting — or vetting of risk — an arduous task in itself. Another trend affecting insurance company profitability is the rising cost of personal injury claims . . . over $1 million on average in 2013. Take low, “razor-thin” profit margins, rising costs and lower investment ROIs, and what do you get? Break-even or worse. When the insurance company sneezes, high-risk sectors like transportation will catch a cold. The traditional criteria for underwriters comes from the insurance application, looking at such factors as: drivers’ age and experience, scope of operations (radius and commodities hauled), MVRs, and third-party snapshots as SAFER, CSA and CAB reports. These criteria are historical and would be considered lagging indicators. Underwriting, however, is changing. 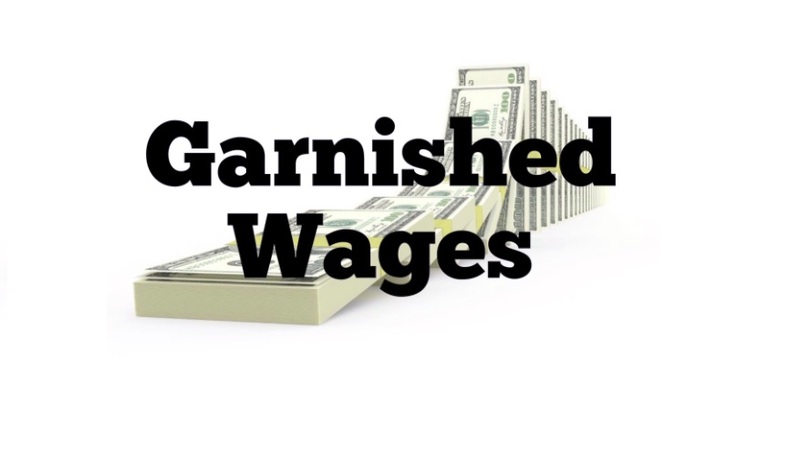 The emphasis is being placed on more forward-looking criteria— or leading indicators. Leading indicators are measures of future safety performance. 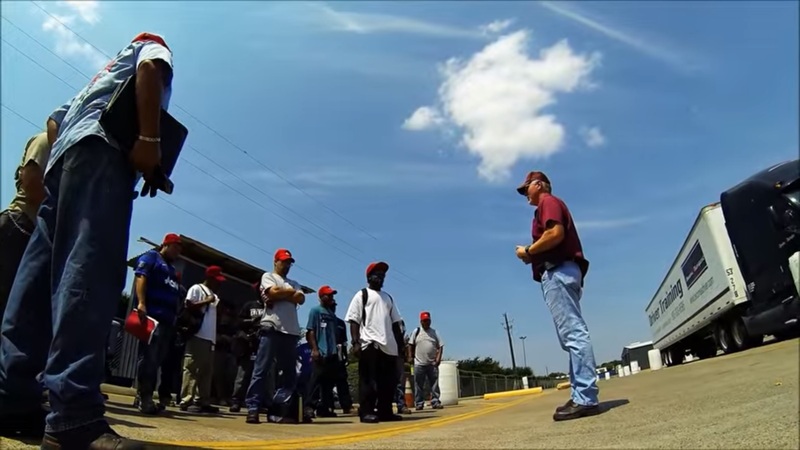 Equally important as a good safety record are the measures a company takes to recruit, train, and monitor its drivers. How do these processes happen? How are drivers rewarded or incentivized? The focus is on driver behavior. Keep the conversation going with your insurance broker. Can you articulate your ‘philosophy of insurance?’ What role do you see your risk partner playing in your business? Should insurance be there for catastrophic protection or for maintenance or warranty protection? How much risk are you willing to assume? How do you balance Revenue versus Safety? Are you willing to park your truck if you do not have the services of a qualified driver? Do you park your trucks from time to time? Do you frequently interact with your insurance service team members — the broker, underwriters, risk management consultants and claims adjusters? Do you review claims? Do you deploy new technology, telematics or GPS? Do you score your drivers? An option for those for walk the safety talk, the “best-in-class” for safety, is to assume more risk (and rewards) by a Captive Insurance arrangement. Insurance premiums in Captives are solely based on your loss experiences and can result in savings. Dan Petrillo and Adam Harris warped up their talk with an informative Q&A session. Vertical Alliance Group invited attendees to learn more about their training resources. I found the talk was highly informative on the direction in which truck insurance is heading. Nobody said the words “hard market” but it seems a transformation is taking place in the world of insurance and every carrier needs to establish a good rapport with their risk partners. All safety metrics, Key Performance Indicators (KPIs), Key Risk Indicators (KRIs), leading and lagging safety indicators should be based on your safety goals. These in turn need to be directly linked to the organization’s high level objectives. As one company owner said, Any mistake you make in trucking is a big mistake. 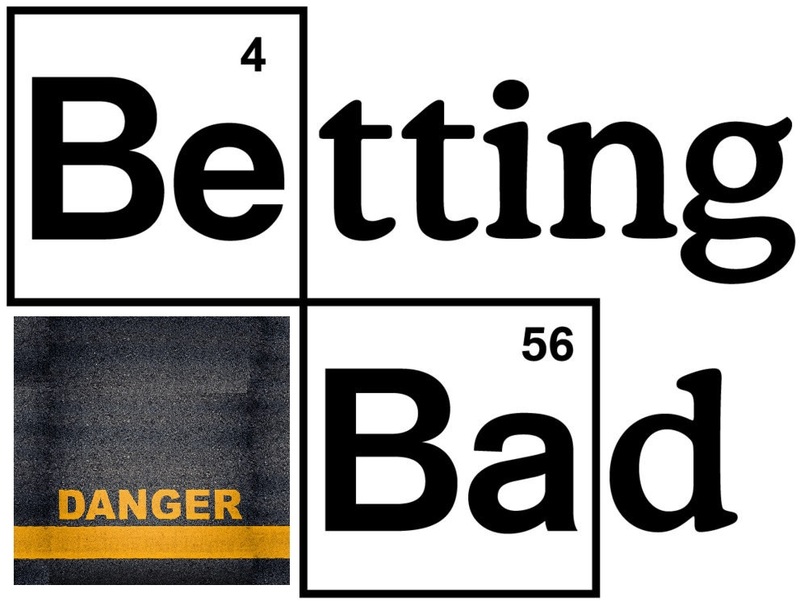 Then all bets are off . . . 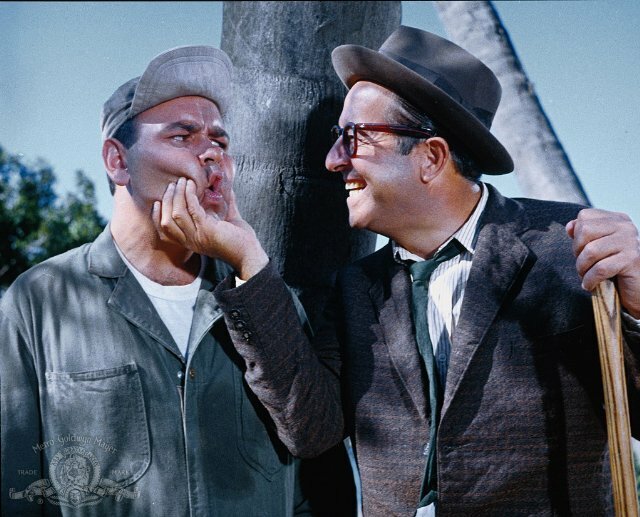 If conflict does arise at work, then it probably should. Conflict is not necessarily a bad thing. Conflict can be positive or negative, constructive or destructive. Conflict is not the same as open hostility (and its attendant verbal attacks and threatening gestures) or anger. Avoiding conflict, however, will only make matters worse. The participants at odds with each other need to engage in constructive conflict which is similar to the negotiation process during problem solving. Ultimately, the parties at odds have (or should have) the final responsibility to resolve the conflict. 2. Find out if the need can or cannot be met. The first steps are to always express the need and then determine if the need can be met. These steps are not always done, sometimes out of misplaced respect for the other person, sometimes out of fear of triggering a bad mood or some other reaction in that person. Common mistakes in conflict resolution are to either totally avoid resolving the unmet need, or skipping the first steps and jumping directly into the management of the conflict. Using facts, not opinions (make sure you know the facts). Using “I” statements (“You” statements put people on the defensive). Being direct and to the point (keep it in the here and now). Being consistent (repeat the same message to everyone, every time). Is there communication? Is active listening occurring? Is there mutual respect in the relationship? What are the underlying interests? Are they shared? Have all the options been brainstormed? Are there objective, legitimate criteria that are fair to all? Is there sufficient time to commit? Can it be done? Based on my experience, not everyone is open about their unmet needs. If dealing with members of the public or even business people for the first time, often they may not articulate their needs. This can lead to conflict. Staff may delay passing on crucial information or try to filter it, if it is negative or will reflect badly on them. No news is good news. Customers may be disappointed or less than satisfied and yet say nothing about their experiences. Then one day they simply disappear and the phone stops ringing. The simple fact is, from time to time, everyone’s needs change. Employees seek new challenges, customers seek additional value. Business is never static. The answer is good communication. The answer is always good communication. But keep in mind, most communication is covert, not overt. The water is often muddy, signals get crossed, emails don’t arrive, and the message isn’t received. Effective communication takes effort and practice. The supreme test of conflict resolution is to communicate at a level that conflict resolution is a natural byproduct of communication. Problem: The driving instructor or trainer cannot see much using the driver’s mirrors, especially in turns. Solution: Mount large round mirrors for the instructor. Problem: Students may be unfamiliar with a shift pattern or need a visual cue. Problem: The driver’s instrument panel and gauges may be hidden from the instructor’s view, so the instructor cannot monitor speed, RPMs, or if the turn signal is on or off. Solution: Mount an instrument panel on the instructor’s side. I also like an instructor’s brake pedal, to help keep things under control at all times. One really bad training collision in 2004 in Climax, GA killed three students and the instructor, when the truck stopped and then pulled in front of a train. It is speculated that the student’s foot slipped off of the clutch. There was a light rain and students switched drivers before the crash. An instructor’s brake (and instructor’s mirrors as above, on the turn) could have helped to prevent these collisions, in my opinion. Thank you for reading this. As always, if you are not finding the answers you require, please contact us directly. Many firms with commercial motor vehicles have in-house repair shops which may engage in anything from light repair work to full frame-up overhauls. Risk of fire and loss may increase depending on the nature of repair work done. Loss of the shop may result in the additional loss of any vehicles in or around the shop. 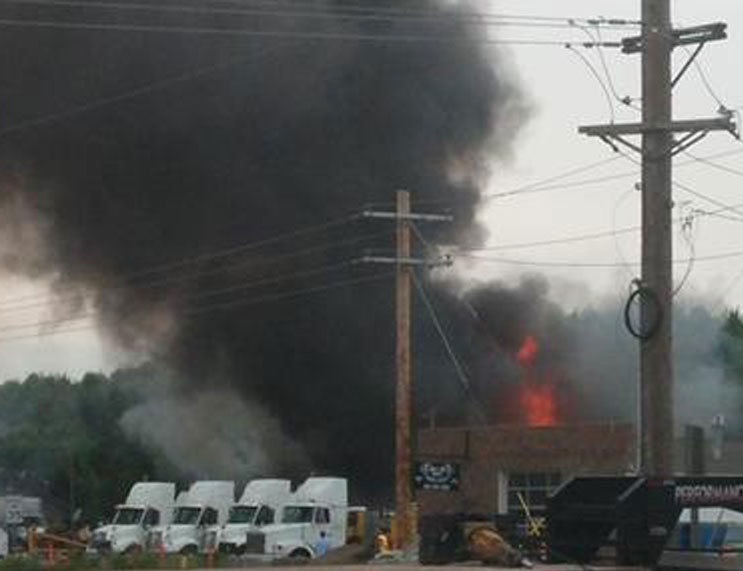 A major shop fire could truly test business continuity. Here are a few tips to avoid risk of fire in your truck repair shop. What types of waste are produced by the shop? Are refrigerants, solvents, batteries, used oil and antifreeze recycled? Does the shop use a reputable recycling company for assistance in its waste stream? Is hazardous waste kept separate in properly labeled and sealed containers? Is the waste storage area secure from the elements (rain, snow, standing water) and unauthorized personnel? Are written records kept of any waste stored on property? Is hazardous waste transported by a licensed hazardous waste hauler and properly disposed? Are waste manifests and documentation kept for at least three years? For small quantities (containers under 5 gallons U.S.) does the shop have an approved flammable liquids storage cabinet (designed to meet the requirements of National Fire Protection Association (NFPA) 30, Flammable and Combustible Liquids Code)? Does the shop have a policy limiting the storage and quantity of flammable liquids used and stored inside buildings? Does any outdoor flammable liquids storage meet the requirements of NFPA 30? Are areas posted where gases are present? Are cylinders inspected (1.) Upon delivery (visual) (2.) Per manufactures’ recommendations thereafter? Are cylinders examined as soon as you receive them? If you detect signs of damage or leakage, move them to a safe, isolated area and return them to the supplier as soon as possible. Are gases grouped and kept separate from combustibles? Are cylinders stored upright with the steel protective cap screwed on? Are full and empty cylinders kept apart when stored? Are cylinders secured with chains or cables (to keep cylinders from falling over)? Are cylinders stored in dry, well-ventilated areas away from exits and stairways? If storing compressed gas cylinders outside, are cylinders stored off the ground and out of extremely hot or cold environments? Are oxygen cylinders stored at least 20 feet from flammables or combustibles (or separated them by a 5- foot, fire-resistant barrier)? Are oil and grease kept away from oxygen cylinders, valves and hoses? If hands, gloves or clothing are oily, is there a written policy in place to not handle oxygen cylinders? Are fire extinguishers near the storage area, appropriate for gases stored there? • Do not tamper with connections and do not force connections together. • Do not hammer valves open or closed. • Do not drop, bang, slide, clank or roll cylinders. • Cylinders may only be rolled along the bottom rim. • Do not let cylinders fall or have things fall on them. • Do not lift a cylinder by its cap unless using hand trucks so designed. • Use carts or other material handling equipment to move cylinders. Use ropes and chains to move a cylinder only if the cylinder has special lugs to accommodate this. • When transporting compressed gas cylinders, be sure the vehicle is adequately equipped to haul compressed gases safely. (Do not haul compressed flammable gases within a van, inside a car, or in the cab of a vehicle). When empty, close and return cylinders. Empty cylinders must be marked with the word EMPTY or letters MT. Empty acetylene cylinders must be so labeled. Be sure valves are closed when not using the container and before returning containers. Properly label returning containers. Are fire extinguishers placed near all doorways and exits and/or to local fire codes? Are fire extinguishers periodically inspected and serviced? Are staff trained in use of fire extinguishers? Ensure that access to fire extinguishers is not blocked or obstructed by any object or materials. Is the shop floor swept daily and clear of combustibles? Are shop rags placed in a fire-resistant container? Are cleaning solvents secured when not in use? Are any spills immediately cleaned up? Is there a written hot work policy? Does the hot work policy prohibit hot work in or on a tank or container unless it is properly vented? Never strike an arc on a compressed gas cylinder. Always wear the appropriate type of PPE for the welding or cutting, including proper PPE and eyewear for infrared or ultraviolet radiation, depending on the process being employed. the entire ear is recommended. Is smoking prohibited near flammables and allowed in designated areas only? No smoking signs should posted in all areas of the building or facility. Automatic sprinklers, fire suppression systems, smoke and fire detectors, etc., will help protect the facility and may result in reduced insurance premiums. For further protection of your truck repair shop, I strongly recommend obtaining a copy of your local building fire code and becoming familiar with National Fire Protection Association (NFPA) code. New truck safety technology is a fact. Freightliner of St. 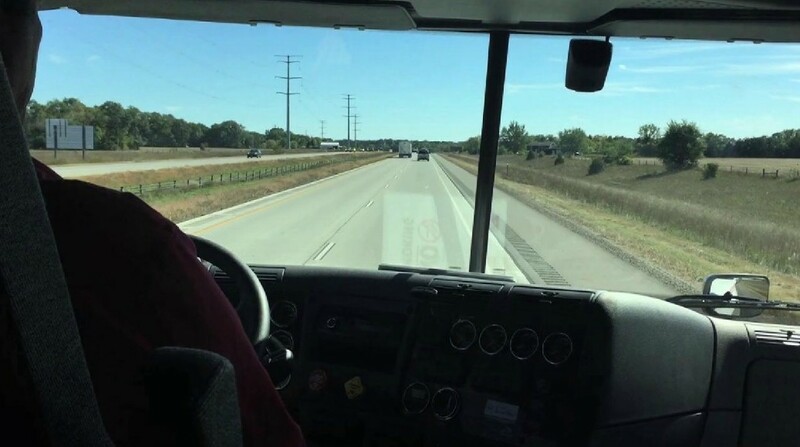 Cloud in Central Minnesota is allowing truck purchasers the opportunity to become better acquainted with the Detroit Assurance™ suite of safety systems with a one-week test drive on a brand new Freightliner Cascadia. The Radar System senses when a vehicle is too close and then enables the Active Brake Assist feature to mitigate collisions, and Adaptive Cruise Control to adjust to traffic conditions. 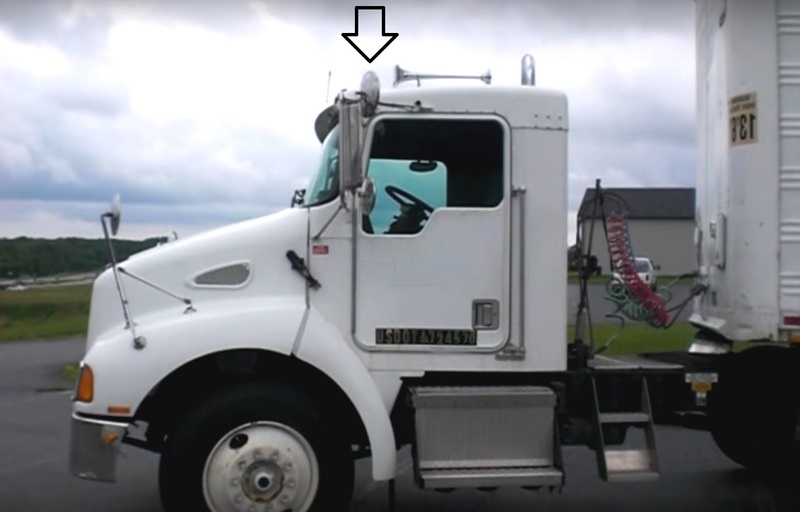 The Lane Departure Warning (LDW) is an optional system that uses a camera to track the truck’s position and provide warnings if the truck veers out of its lane. The St. Cloud Times covered these systems in a video of a demo drive here. Safety experts believe these technologies will be mandated in the next five to seven years as they contribute to accident avoidance. Early adopters may be rewarded with lower insurance premiums. No Driver Cell-Phone Policy? Policy Not Enforced? Not Good. 3-8-2015 — Zachary Barngrover, 23, was driving a tractor-trailer and allegedly was on his cell phone when he was making a left from 43rd Street onto Ashland when he failed to keep a proper lookout and yield the right-of-way to a mother and her two kids, resulting in a triple-fatality accident. 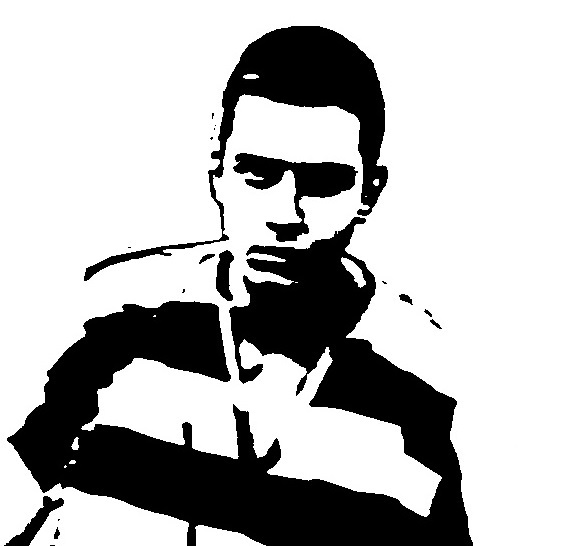 5-13-2015 — Truck driver Miroslav Kuzmanovic, 22, was allegedly on his his cell phone and failed to reduce speed of his tractor-trailer, causing a chain reaction crash. He was charged with reckless homicide as well as four counts of wanton endangerment. and one offense for communications device violation. July 08, 2015 — 36-year-old Jorge Espinoza of Yuma AZ was sentenced to six years in prison for second-degree murder for looking at his cellphone before an accident that killed an Arizona Highway Patrol officer, while driving a tractor-trailer. It is believed that the use of cell phones is a factor in 25% of crashes. While many states ban cell phone and texting while driving, the effectiveness of cell phone and texting laws on decreasing distracted driving-related crashes requires further study according to the Center for Disease Control (CDC). Reaching for a mobile phone in a manner that requires a driver to maneuver so that he or she is no longer in a seated driving position, restrained by a seat belt. DOT penalties can be up to $2,750 for drivers and up to $11,000 for employers who allow or require drivers to use a hand-held communications device while driving. One does not have to look at CSA Violations Summary listings to see truck drivers talking on a cell phone, texting or surfing the net. Craft a crystal clear policy on the use of communication devices while driving. Train dispatchers or supervisors not to talk to or text drivers while they are going about their business. Encourage drivers not to communicate, call, text, or use electronic devices while driving. Have drivers sign your cell phone / electronic device policy. Please don’t call 989-474-9599 while I’m driving. What are Loss Control Recommendations? If you start a new (or renew) an insurance policy, chances are the insurance company may have its safety staff (called “Loss Control” or Risk Engineers or Risk Managers) contact you by phone or stop over in person. The purpose of their contact is to conduct a safety survey of your operations. A recent major loss or a series of claims also may trigger a visit from Loss Control staff or subcontractor safety specialists. Or you might have noticed a major loss at a competitor’s business and can ask for a Loss Control safety survey. There is no charge for this service. It is included in the cost of the insurance premium, and may help reduce the premium in the future. Recommendations are suggestions to a business or organization to take specific actions, issued with the intention of future accident prevention. Perhaps regulations have changes and now your operations are out of compliance. Perhaps safety creep or “drift” has set in and staff were observed taking shortcuts like jumping off trucks or the decks of trailers or not using mandatory equipment or safety practices. Perhaps some practices are out of compliance and need to be upgraded. Critical Recommendations relate to conditions or practices creating a high potential for loss of life, severe bodily injury, destructive loss of property or significant financial loss. These are things that need to be corrected. Examples might include not having a fire extinguisher where needed, or not having a no-cell-phone-use-while-driving policy. Important Recommendations relate to a conditions or practice that needs improvement to establish better exposure controls or improve conditions to reduce the probability and/or severity of loss. These are things that should be corrected. An example is road-testing all vehicle drivers, even if regulations say a CDL driver does not have to be road tested. 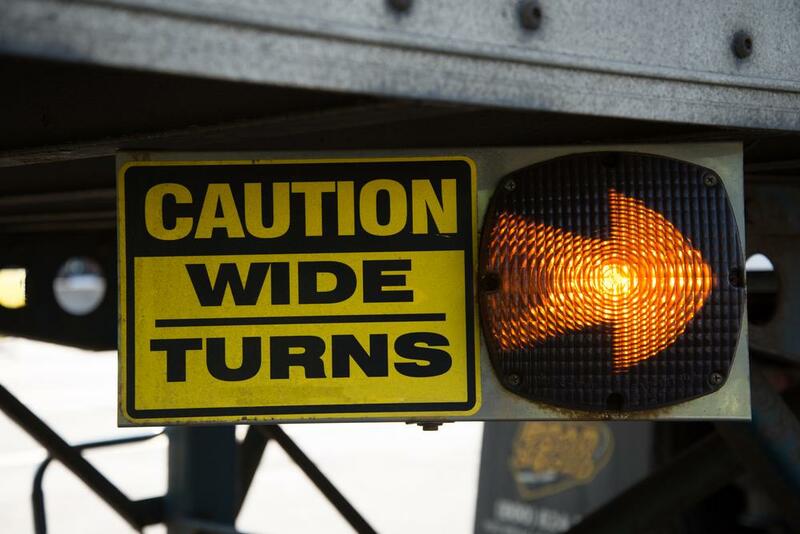 Advisory Recommendations are defined as administrative type recommendations that could be considered “best practices.” An example would be providing defensive driver training for non-commercial drivers on staff, as office personnel. Recommendations are made specific to the operational conditions observed at your organization or business. Open – Awaiting Response – The recipient has not submitted a substantive response, or the Loss Control evaluation staff of a response is pending. Open – Acceptable Response – Response by recipient indicates a planned action that would satisfy the objective of the recommendation when implemented, including a written timetable for completion. Open – Unacceptable Response/No Response Received – A response to the recommendation has not been received in a specified or reasonable time of issuance, or the recipient responds by expressing disagreement with the need outlined in the recommendation. Closed – Acceptable Action – The recipient has successfully completed action on the recommendation. The action taken was as specified in the original recommendation. Closed – Acceptable Alternative Action – The recipient has successfully completed action on the recommendation. The action taken was approved by Loss Control as an acceptable alternative to the original recommendation language that meets the objectives envisioned by Loss Control. 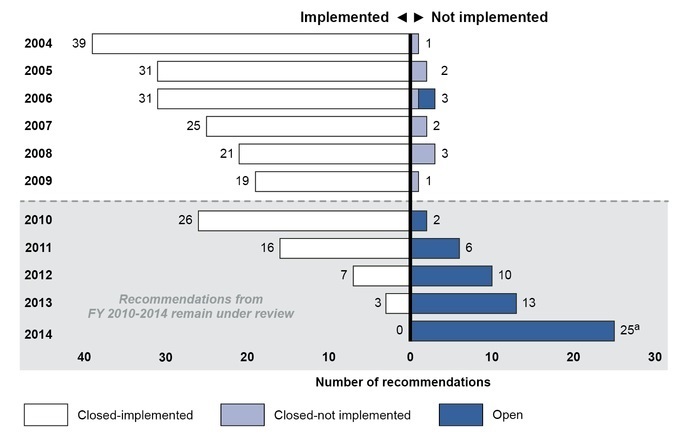 Closed – Exceeds Recommended Action – Action on the recommendation meets and surpasses the objectives envisioned by Loss Control, in a manner that enhances the extent of reduction of future risk. Closed – Unacceptable Action/No Response Received – A response to the recommendation has not been received in a specified or reasonable time of issuance, or the recipient response by expressing disagreement with the recommendation or offers an alternative response that Loss Control does not view as an acceptable alternative. In addition, Loss Control concludes that further dialogue will not persuade the recipient to act. Closed – No Longer Applicable – Due to subsequent events, the recommended action no longer applies (e.g., the equipment, plant or facility was destroyed and not rebuilt, or the company went out of business). Closed – Reconsidered/Superseded – The recipient rejects the recommendation based on a rationale with which Loss Control concurs. Reasons for this status may include, for example, situations when later facts indicate that the conclusions of Loss Control should be modified, that concerns expressed in the recommendation were addressed prior to the incident, when a recommendation should have been directed to a different recipient, or when a recommendation is superseded by a new, more appropriate recommendation. The point here is that Loss Control may follow-up with additional contacts by phone or in-person to close out any recommendations. Once a recommendation is made, the recipient needs to followup on it in some manner. It just doesn’t go away. Action is key. Action should be taken on all Loss Control recommendations. If a recommendation will take some time to implement, will not work out, or is too costly for the benefits received, that conclusion should be brought up to the attention of your Insurance Loss Control representatives. Keep Loss Control informed of the status of all recommendations. Good Loss Control will ultimately lower your insurance premium.